In the fifty-five years since Doctor Who first materialised onto our television screens, there have been dozens of different portrayals of the titular character. 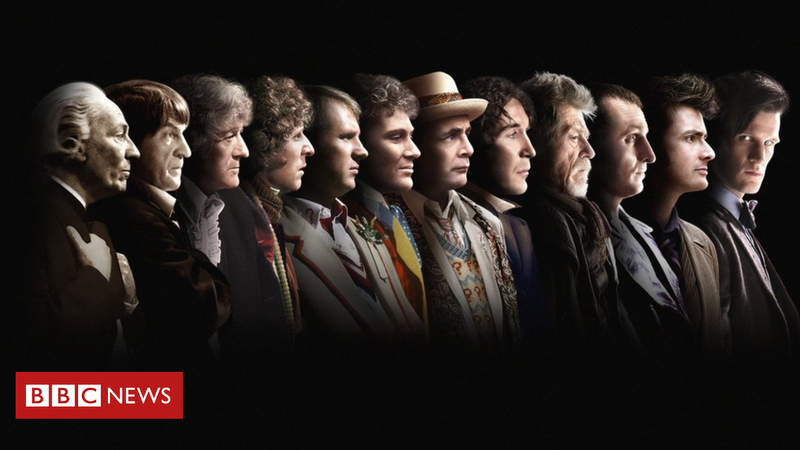 The process of regeneration, whereby the Time Lord can restore themself and be reborn in a haze of flame just like a mythical phoenix, serves the purposes of both storytelling and behind-the-scenes production, allowing the show to be renewed with a new, fresh take on an eternal character, and for old actors to bow out with little fuss or inconvenience when the mood takes them. We’ve seen old doctors, young doctors, and now, in a series first, a female doctor. With Jodie Whittaker’s Thirteenth Doctor soon to arrive on our screens, the Edge’s esteemed writers have gathered to pitch in their love for their favourite incarnations. I swore off Doctor Who back in primary school when I heard Christopher Eccleston was leaving, but look at me now. Every fan should have the utmost respect for Eccleston, reviving the series in the way that he did, but Tennant’s job was infinitely harder in a sense: he had to win our hearts. It helped that he was completely hilarious and pronounced things in a deliciously Rowan Atkinson-esque fashion. What’s more, his Doctor was emotionally vulnerable with a real depth that meant he could easily transition from the goofy lightness he did so well to the dark Time Lord fury that ultimately comes from expecting the best from everyone and being disappointed. Tennant wasn’t afraid to show his Doctor lonely or sad or even a bit superior when the mood was right; an ancient race would have quite a high horse to clamber onto. He just made everything look easy, with catchphrases galore and a great energy and rapport with everyone and anyone he shared the screen with (from Bernard Cribbins to Bannakaffalatta). You got the feeling that he really cared and that everyone in the universe was important to him, which made him so loveable and believable. I prefer Matt Smith to David Tennant as The Doctor. I know that this statement is a highly unpopular opinion, but there is something about Smith that made me love Doctor Who in a way I never had before. I watched all of Eccleston and Tennant with my family, and once it was announced that Tennant was leaving the show, I thought ‘Who is this Matt Smith and how could he possibly be a better Doctor than David Tennant?’ And yet, from his very first episode, there was something about his quirky personality, his kind face and his famous bow tie that I loved immediately; add in Amy and Rory as – in my opinion – the perfect companions, and I found I was so much more invested in the show. Perhaps it was because I was older, or because the episodes didn’t feel as dark as they sometimes had under Tennant’s Doctor, but I found myself glued to the television every Saturday night (I cannot remember ever watching a cliff-hanger as tense as the ending of ‘The Pandorica Opens’). When the time came for Smith to hand over the Tardis to Peter Capaldi, that final phone call in Capaldi’s first episode was absolutely heart-breaking. Exuberant, wacky and immensely lovable, Matt Smith will always be my Doctor. Following on from a pair of highly popular Doctors cannot be easy, yet Peter Capaldi stepped up to the task with great success. Despite being plagued by weak ratings, Capaldi’s era has proven to be a new Golden Age for the show. The Twelfth Doctor was given a brilliantly compelling character arc, going over the course of three series from a spiky, insecure curmudgeon to a man comfortably certain of his own identity, willing to die a hero for people he barely knows, played by an actor just as comfortable when giving profoundly powerful speeches, as he is when fighting Robin Hood with a spoon. Meanwhile, the exploration of the relationship between this Doctor and his nemesis, the Master (Michelle Gomez) has been one of the most interesting parts of the era, and has given them some great depth, aided by the phenomenal chemistry between the two actors. Add in some great companions, a darker and more mature tone, and all time classic episodes like “Mummy on the Orient Express”, “Flatline”, “Heaven Sent”, and the spectacular finale to series 10, and it’s clear why the Twelfth Doctor has earned his spot as my favourite Doctor. Ever the contrarian, I find myself drawn to perhaps the most fleeting portrayal of them all. John Hurt’s weathered soldier, numerically the ninth but canonically out of sequence entirely, only appeared in a single story, fiftieth anniversary romp ‘The Day of the Doctor’. Nevertheless, his performance stands out from the rest, channelling a world-weary, utilitarian brutality that wouldn’t look out of place in a war movie. He’s been cast out from the pantheon of the Doctor’s incarnations for his bloody extermination of Dalek and Time Lord-alike, and yet, the quirkiness of the character still comes out, as he looks into his literal future in the Tenth and Eleventh doctors, with bemusement and all the disconnection of the average golden oldie. Hurt’s tragic death in 2017 means we won’t get to see the character in live-action again, but through new comics, this fresh and bold incarnation can still enjoy new life. Doctor Who Series 1-10 are available to stream now on Netflix. Series 11 will begin airing on BBC1 on October 7th 2018.